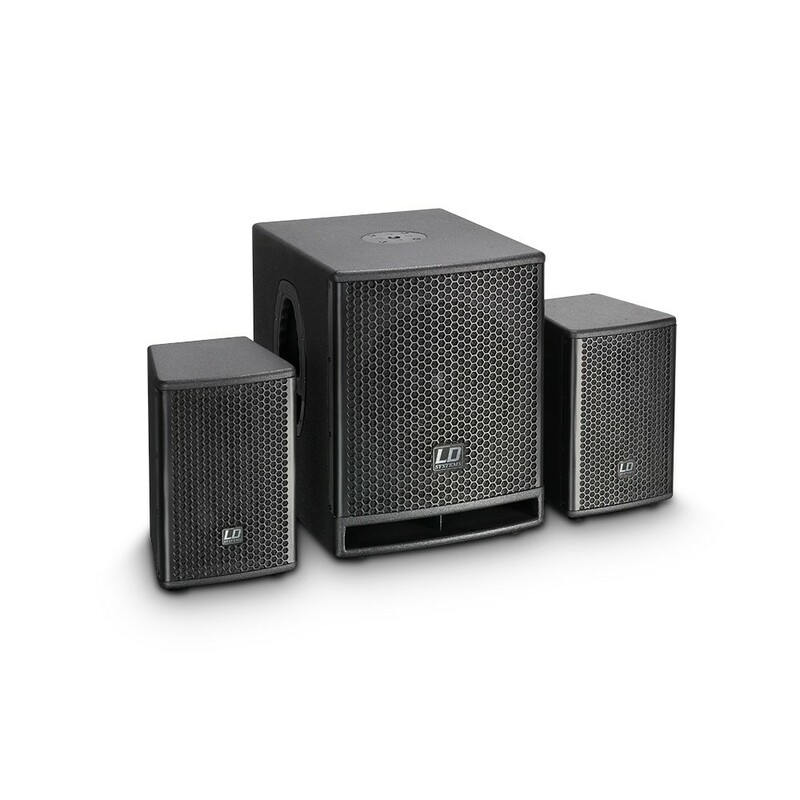 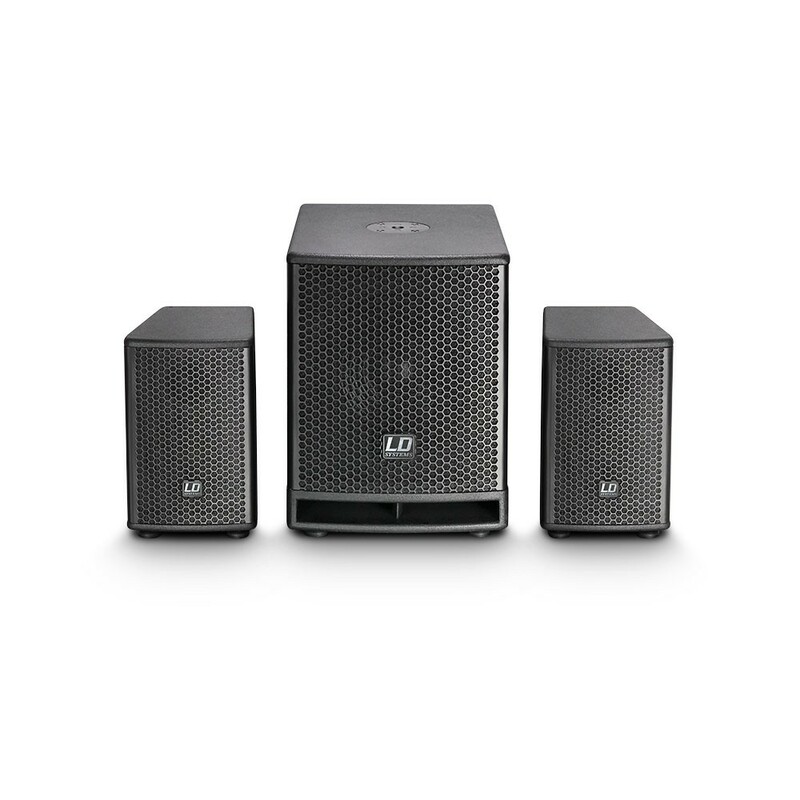 The LD Systems DAVE 10 G3 is the latest generation of an extremely compact active PA system. 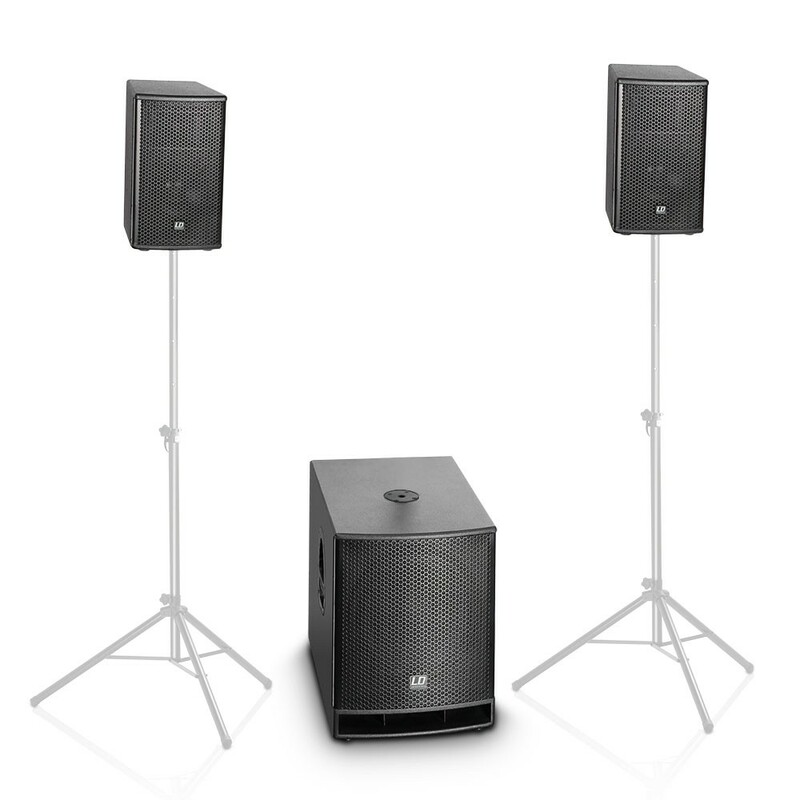 The bass reflex subwoofer provides a solid bass foundation; the satellites ensure clearly defined mids and clear treble. 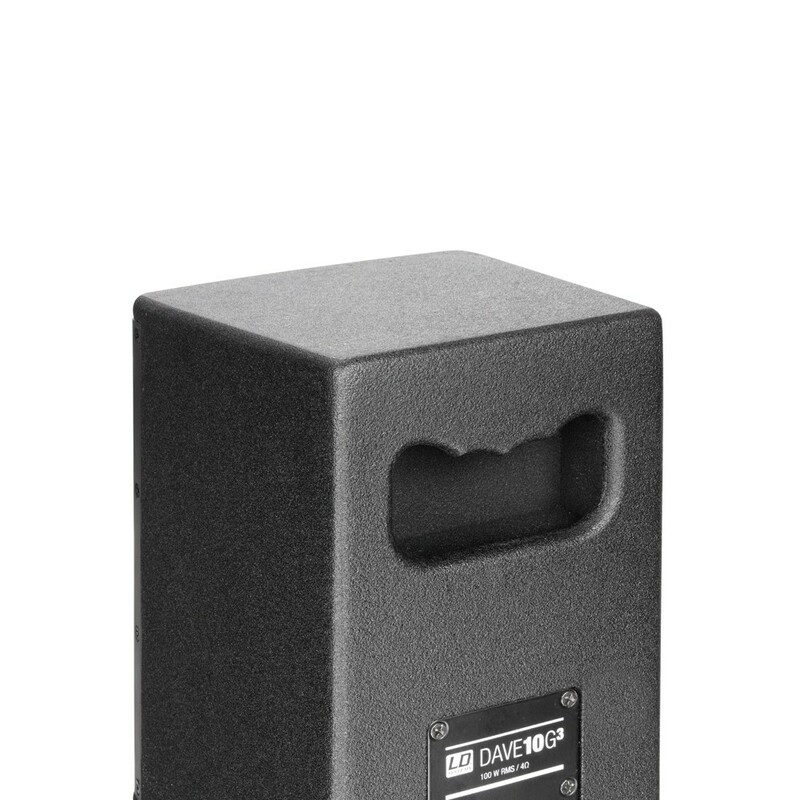 The 2.1 power amp module built into the subwoofer delivers 1400W Peak power, and the intelligent LD LECC DSP guarantees perfect interaction and controlled functioning. 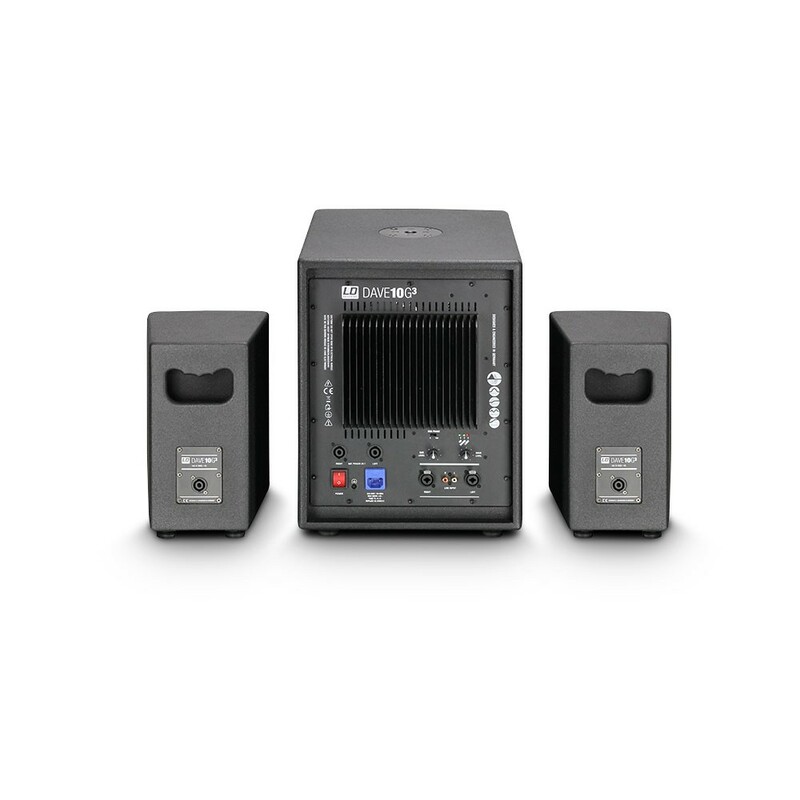 The digital signal processor includes specially optimised crossovers, separate equalisers and limiters for the bass, mid, and treble frequency ranges, and a dynamic compressor that controls the subwoofer according to volume and provides for increased punch at low volumes. 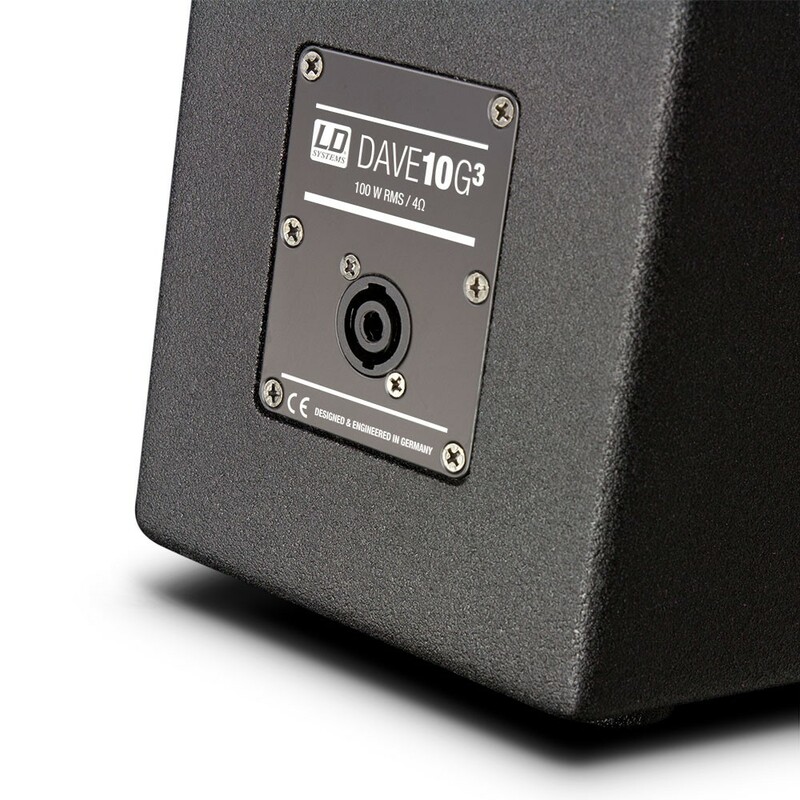 The DAVE 10 G3 system's professional features include sturdy MDF cabinets, the necessary protection circuits, RCA, XLR/jack combo and Speakon-compatible connectors, and ergonomic handles. 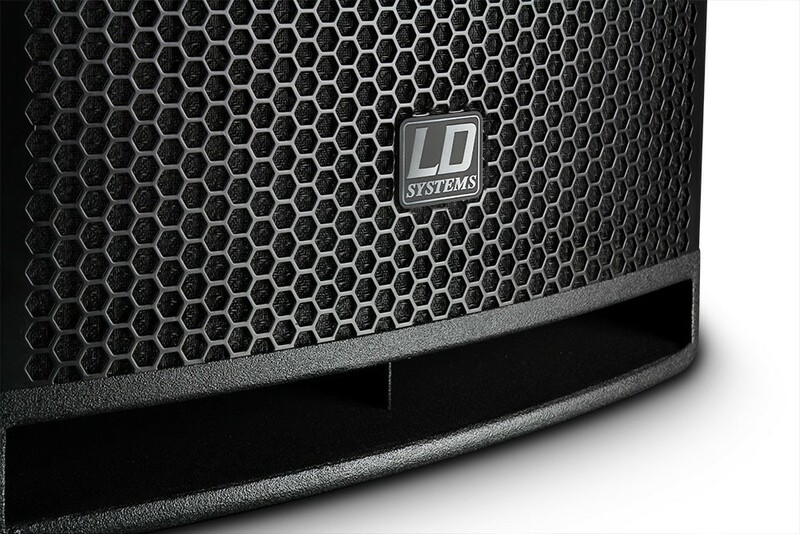 The LD "Evolutive" handles of the subwoofer are a genuine innovation - they permit a trouble-free, secure grip from all sides! 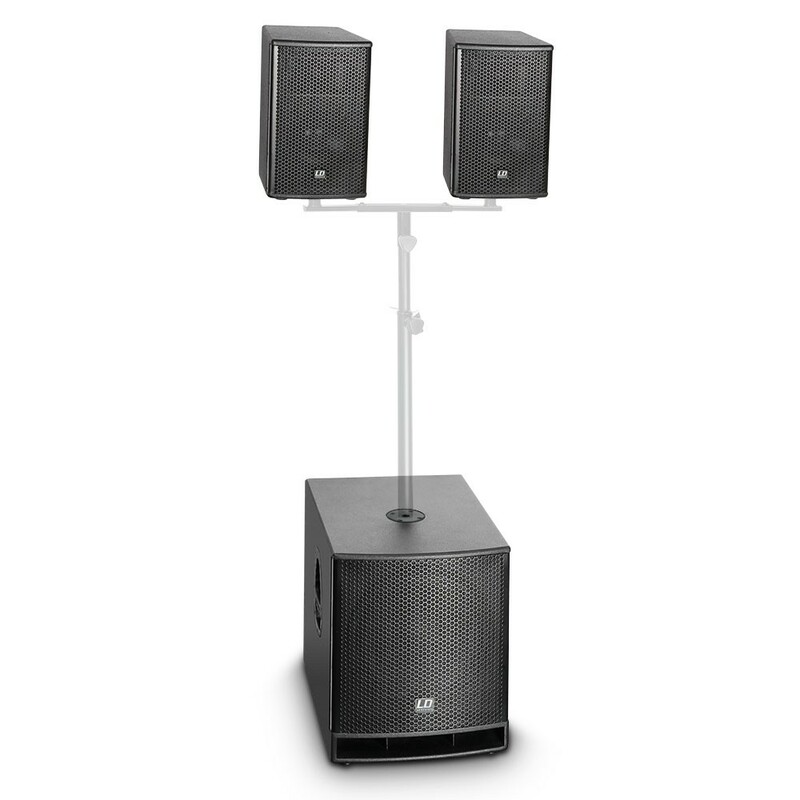 The stand support of the satellites is tilted by five degrees for perfect orientation of the speaker cabinet. 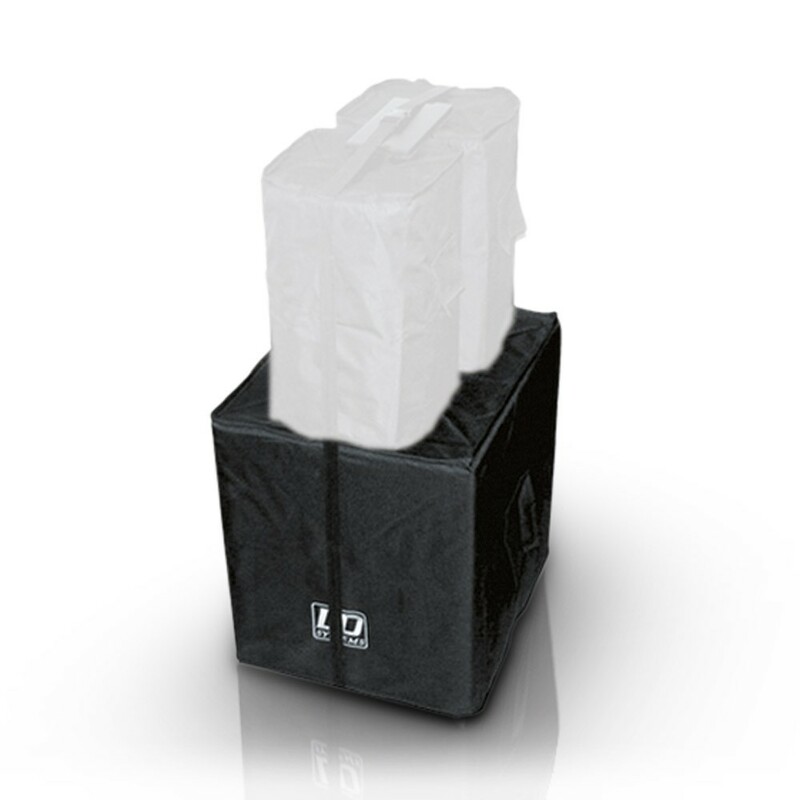 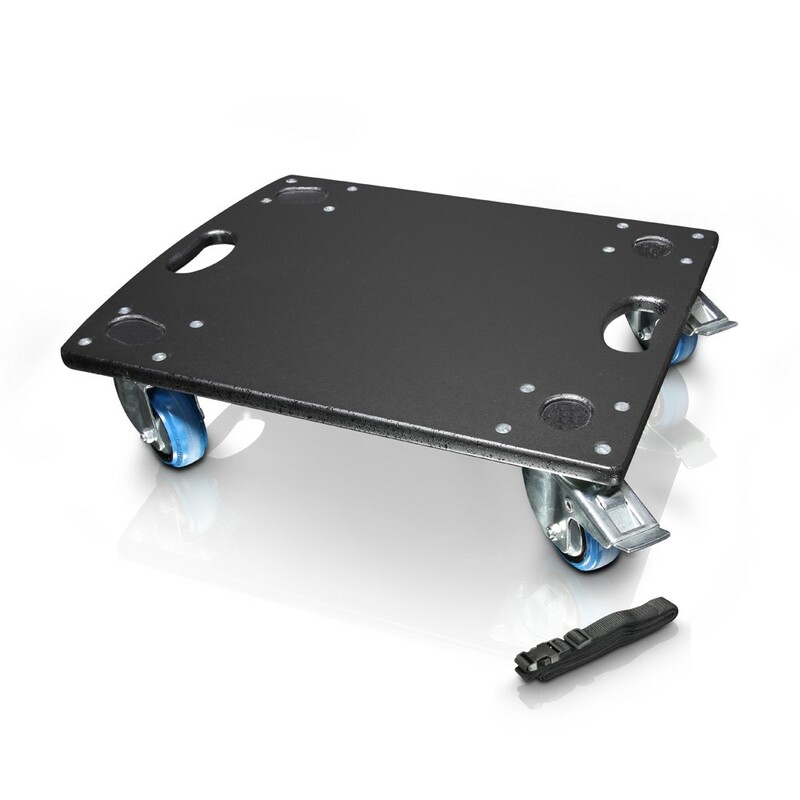 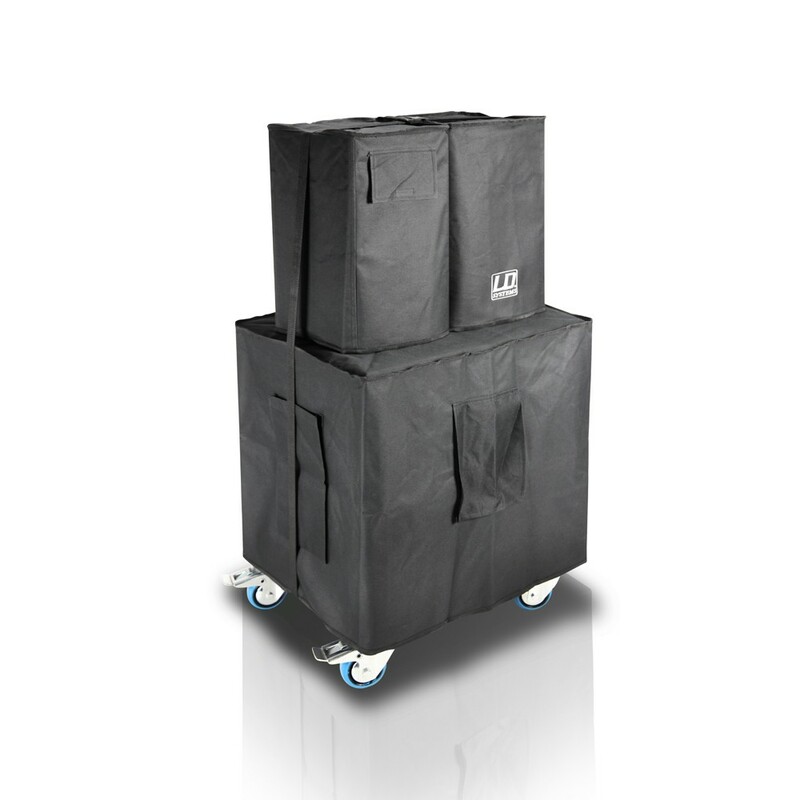 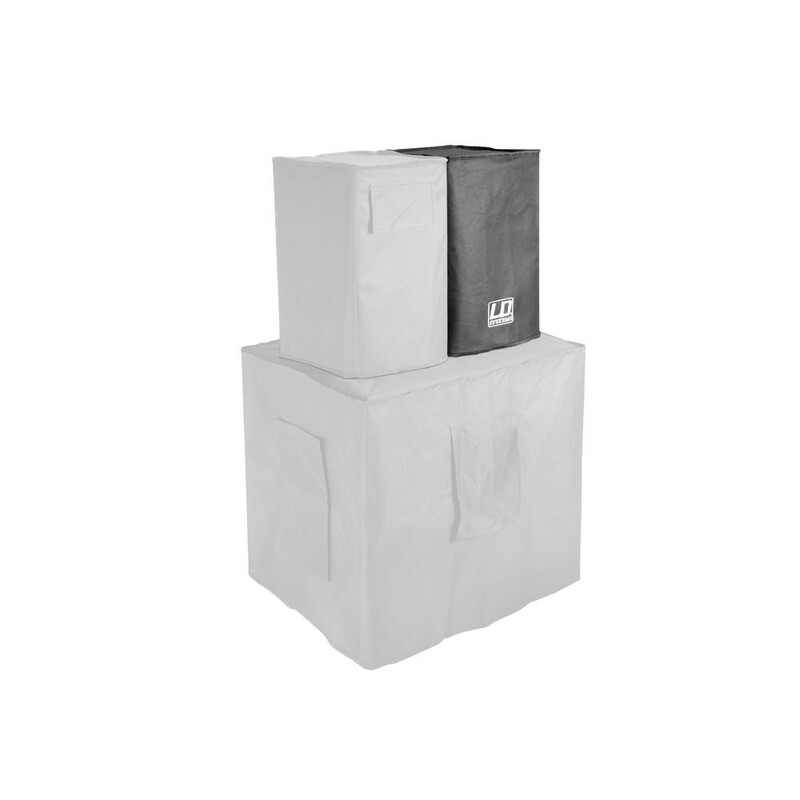 Protection covers for the system components and a castor board with a lashing strap for convenient transport are available as accessories. 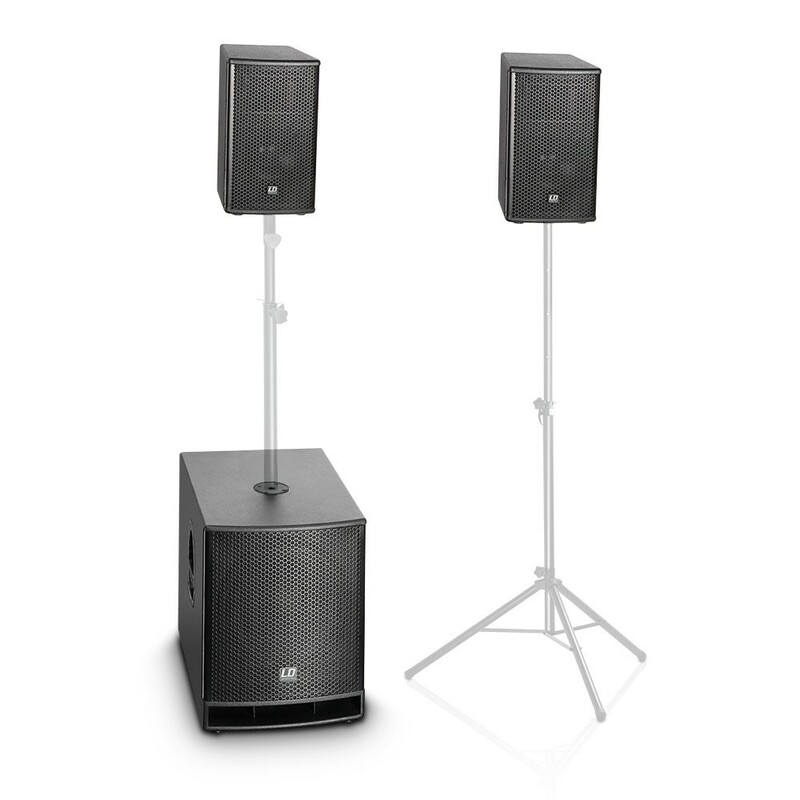 Matching speaker stands, spacer tubes, and mounting forks are also available separately. 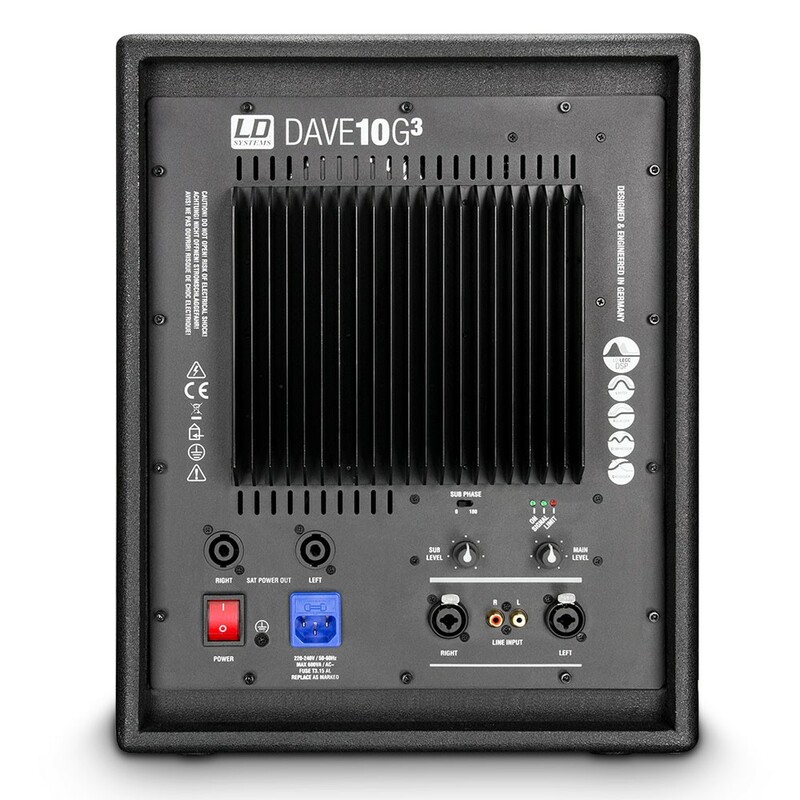 The DAVE 10 G3 is especially suitable for portable use and are very convenient to transport, making it just right for solo entertainers and duos. 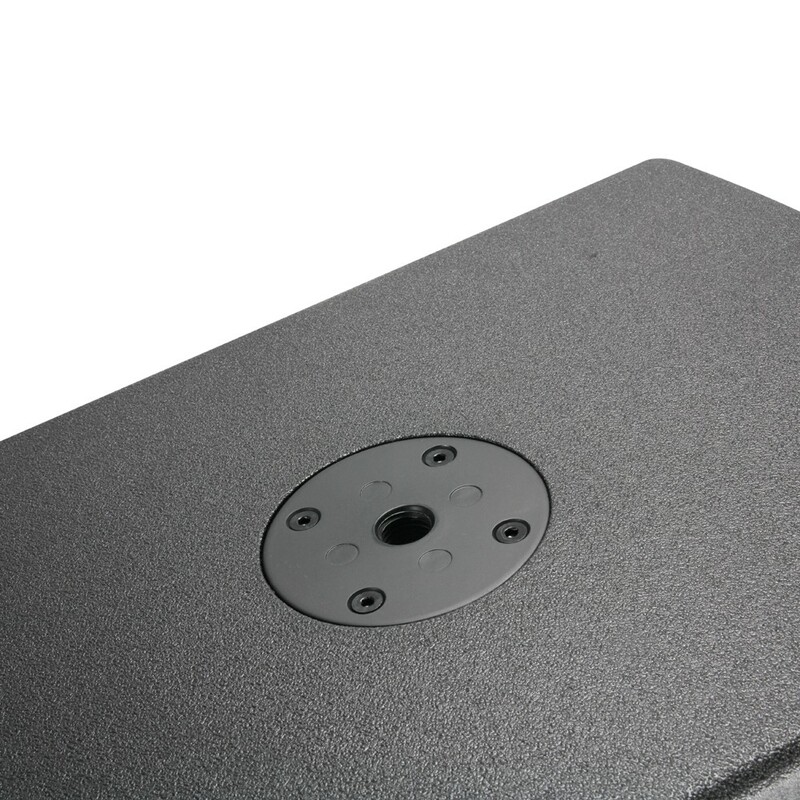 However, it also cuts a good figure in small permanent installations, e.g., in bars and restaurants.